Nir Perry, CEO & Founder of Cyberwrite, has been active in the cyber risk management domain since 2001. He explains why Cyberwrite’s cutting-edge insurance tailored data analytics technology is inseparable from legacy insurance processes in an age of which insurance for cyber damages has become the fastest growing opportunity for the industry. “In recent years the wave of cyber-attacks on both enterprises and small and midsize businesses (SMB’s) alike has reached an all-time peak. In addition, regulatory compliance fines and 3rd party liability risk have motivated an increasing amount of businesses to purchase a dedicated cyber insurance policy. Insurers in turn are exposed to both affirmative and non-affirmative cyber risk, due to lack of historical data and dedicated data-driven cyber insurance algorithms. This is where Cyberwrite comes in—our solution serves carriers, re-insurers, MGA’s and broker which are using the Cyberwrite Profiles platform to able to sell more policies and control the risk levels in accordance with their unique risk appetite. The problem starts when brokers face customer questions on a matter they are not experts in. “How much cyber coverage should I purchase and what are my risks” is a common question which is hard to answer, but with Cyberwrite—brokers are empowered to do so. In turn, the data collected by Cyberwrite on the insured from millions of data-points online is analyzed and risk analytics are presented to cyber underwriters in a simple to use format —it only takes minutes! This aggregates into a comprehensive dashboard which present users with the overall exposure of a book of companies, or even a group of books for reinsurance companies. Different catastrophe scenarios can now be analyzed and taken into consideration. Cyberwrite’s simple to use report format does not require the users to be cyber experts, it enables them to make a decision based on their procedures. In addition Cyberwrite delivers risk benchmarking per coverage in the policy and the estimated financial impact for the insured. Using Cyberwrite’s APIs, automatic underwriting is also possible and when discussing insuring small and mid-size businesses, this can save a lot of time and money as sending a dedicated team to each and every business is not cost-effective. 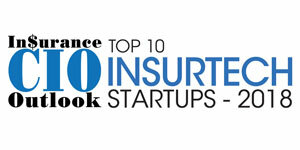 Cyberwrite users include re-insurance companies, carriers, MGAs and brokers. Large multinational insurance companies have implemented the company’s solution into its processes end-to-end—provided access to brokers, underwriters and the CRO office. Cyberwrite was nominated by Gartner as Cool Vendor in Insurance for 2018, one of only four companies out of over 1,000 reviewed by the globally leading IT advisory firm. With strong customer base in the US and EU, Cyberwrite recently launched in Latin America as well, and aims to expand its footprint across other parts of the globe including Asia and Australia.